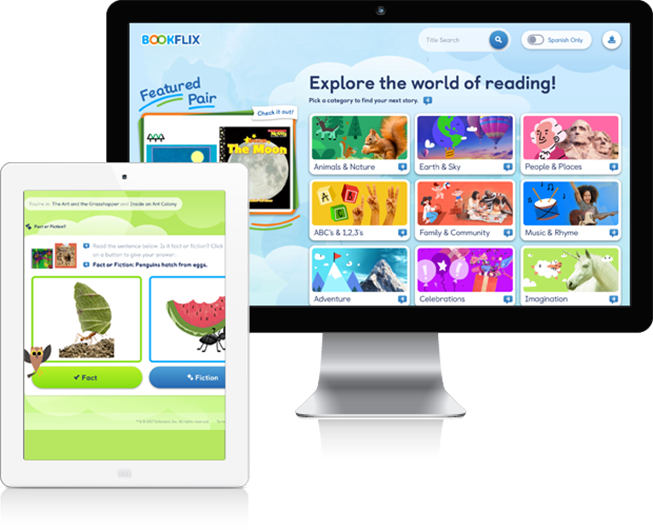 Scholastic BookFlix is an online literacy resource that pairs classic video storybooks from Weston Woods with related nonfiction eBooks from Scholastic to build a love of reading and learning. Includes puzzlers with fun games and questions to answers, as well as opportunities to learn more with safe links to related topics online and information about the author and illustrators. There is a special youth section on Overdrive to get your chapter and read along titles as well as books for teens.